- It's no secret, almost everyone has experienced skin moisture problems, such as dry skin or scaly skin, well you need not worry, dry skin, scaly and facial skin moisture problems can be overcome with olive oil. - Vitamin E content in olive oil plays an important role in moisturizing the skin, the way you only need to apply olive oil evenly to every part of the problem skin. - Black stains of acne scars are sometimes difficult to remove, but by making a natural mask of olive oil on a regular basis it can be overcome easily, the first way is to heat the olive oil, then apply on the face that there are acne scars. - Olive oil contains antioxidants, the type of polyphenols whose benefits help protect cells from the threat of damage. 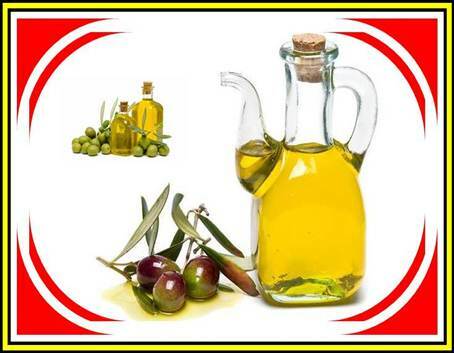 -Olive oil is very nutritious and useful to maintain the elasticity and firmness of facial skin. The frequent use of olive oil to treat your face will make your skin smooth and soft and awake with moisture, because it contains linoleic olive oil that keeps the water content on the skin, and polyphenols that have a protective cell role from the threat of damage. It has been a long time, even since ancient times when technology has not developed to do research, olive oil is widely used for beauty nurses one of which we know is to use olive oil for hair care. Why is olive oil so efficacious in treating hair health, overcoming dandruff, caring for the scalp, lengthen and thicken hair? do you know why ?? well ,, so in olive oil contains nutrients Vitamin E is beneficial to treat hair health. In addition to vitamin E and K, olive oil is also rich in vitamin A and antioxidants. Both of these ingredients can protect the hair keratin and restrain the hair moisture. Keratin itself is a hair-forming protein, which also serves as a protective hair from stress and damage. Olive oil can work to provide hair protection and resistance from damage. Benefits of olive oil for other hair is to rinse excess hair oil that can inhibit the growth of new hair follicles and inhibit hair growth. High antioxidants contained in olive oil - vitamins A and E - can help improve hair drier branched due to exposure to sunlight and pollution. Olive oil absorbs deep into the roots of the hair and scalp to provide the necessary moisture required by damaged hair and shields to protect the hair shaft, and keep the hair volume, smooth and manageable. Simply apply a little olive oil to the scalp and ends of hair that is still slightly wet, so the rest of the water can help get rid of the sensation of sticky, greasy drenched. Acne face, there are black stains acne scars ?? easy, it can be overcome very easily with olive oil. Olive oil is a natural herbal remedy to get rid of acne on the face, because olive oil has a vitamin content that can accelerate the healing process on the scar. In addition, there are antioxidant olive oil types of polyphenols that can remove toxins in the body and prevent infection. Olive oil also has antibacterial properties, and as an anti-inflammatory it is useful to accelerate wound healing without a trace. Its non-comedogenic properties are also good because it does not clog the pores of the skin. Again and again polyphenols have a very important role, this time olive oil polyphenols are useful to whiten the face naturally. By using olive oil as a natural mask you no longer need a face mask that is expensive. Leave expensive facial treatments like bleach injections on your face, just make enough ointment with olive oil, and use it regularly every day or every night before bed. So slowly but surely your skin will be bright, white shine naturally. In shrinking the pores of the facial skin linoleic substances have a very important role, regular use of olive oil will make your face smooth because the pores of the skin is very small. The content of linoleic acid substances in olive oil will help, keep the water content on the skin, the skin so as not to appear wrinkles at an early age.